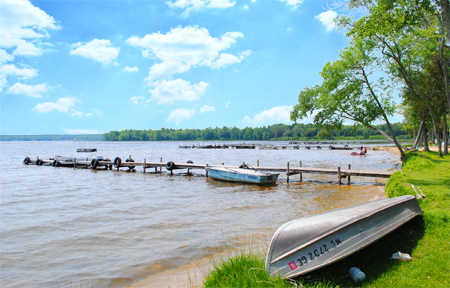 South Manistique Lake is part of the largest lake complex in the Upper Peninsula - perfect for swimming, boating, fishing, and relaxing. 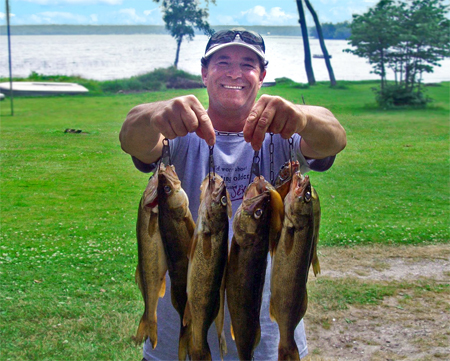 Fishing on South Manistique Lake is one of the best ways to relax and enjoy your summer vacation. When you rent a cabin, you'll also have a 14' boat for your use on the lake. 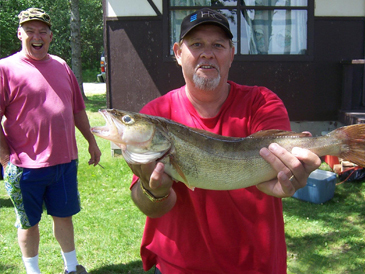 South Manistique Lake is known for its great fishing. The following species are the most prominent and sought after: walleye, northern pike and perch. 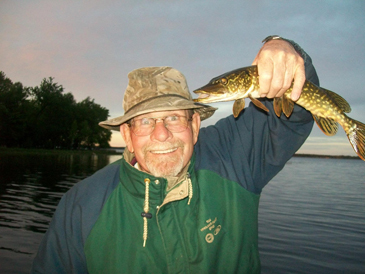 Our guests love fishing on South Manistique Lake. The lake consists of an amazing 4000 acres and we are situated along its protected bay. 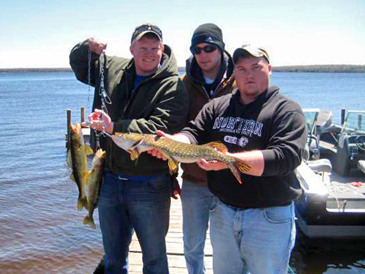 South Manistique Lake is great fishing for walleye, northern pike and perch, from May 15 to September 31. South Manistique Lake is located in Mackinac County. This beautiful lake is part of the Upper Peninsula Largest Lake Complex. Within this lake, there are the following species Walleye, yellow perch, small-mouth bass, large-mouth bass, musky, bass, rainbow trout, and splake. South Manistique lake covers a total of 4,001 acres. 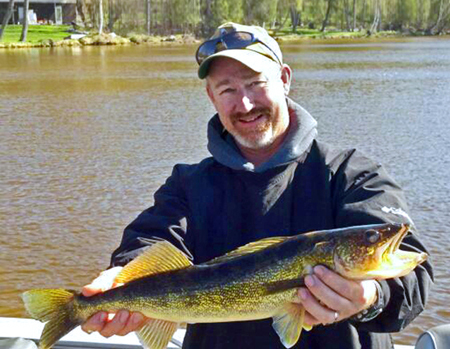 Sherman's Resort places you in great walleye territory. 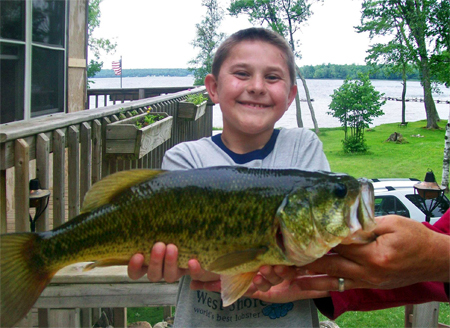 Walleye fishing on South Manistique Lake is a sought after past time that all ages will definitely enjoy. Sherman's Resort has a 14ft boat included with each of the rental cabins. You can go out on this beautiful lake and catch your prize trophy or your evening meal. South Manistique Lake is a great place anytime of year. Also, with 2 annual tournaments held on this lake every year, the excitement never ends. South Manistique Lake is approximately 4.5 miles long and 2 miles wide. It is oriented in a southwest-northeast direction. The lake rests 692 feet above sea level and 6 feet above Big Manistique Lake and South Manistique Lake. It drains northeastward through Portage Creek. Boats are included with out cabins - cottages and chalets. Campground guests are encouraged to bring your kayaks, canoes or boats. "The owners at Sherman's Resort were great, very welcoming and down to earth. I'd love to return every year. We had exactly the kind of vacation I'd hoped. Fun and relaxing, carefree, no worries about wardrobes or getting a little sand on the floor.